This design was first made in 1999. 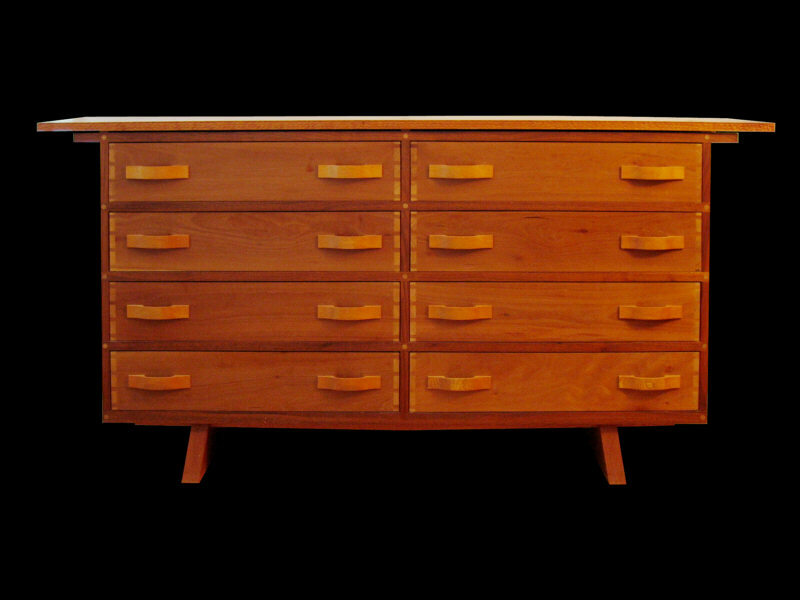 Its large eight drawers include a combination of cherry and red oak. 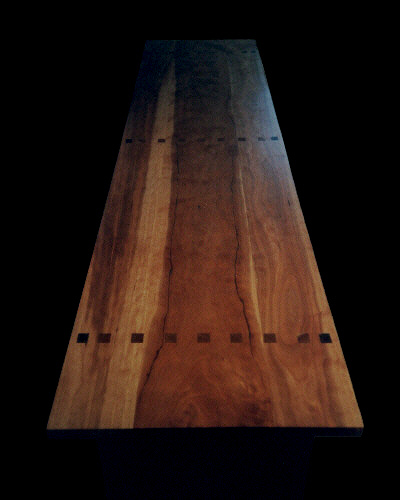 Drawer fronts are cherry, inside secondary wood is red oak with drawer bottoms made of aromatic red cedar. The red oak is joined to the cherry fronts using "through dovetails" which can be seen from the front. The frame and top are made of solid cherry. The top edges are carved to give an interesting visual affect. 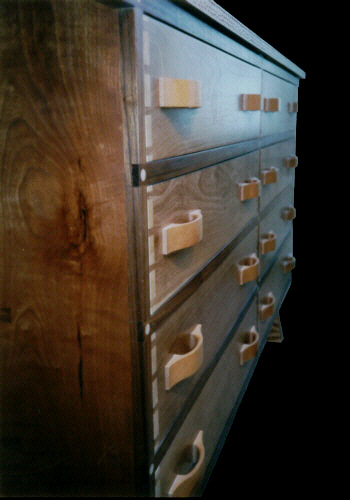 Legs are made of two massive splayed red oak pieces dovetailed into the chest bottom. 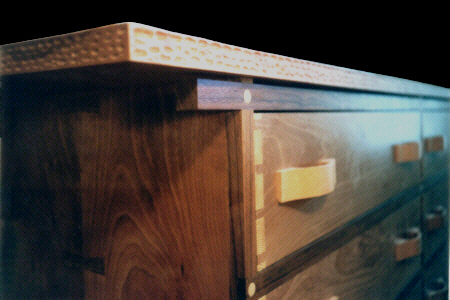 Drawer-pulls are carved from red oak and are inset into the cherry drawer fronts. Overall dimensions are 72" W x 18" D x 40" H. Call or e-mail for more details and pricing.. 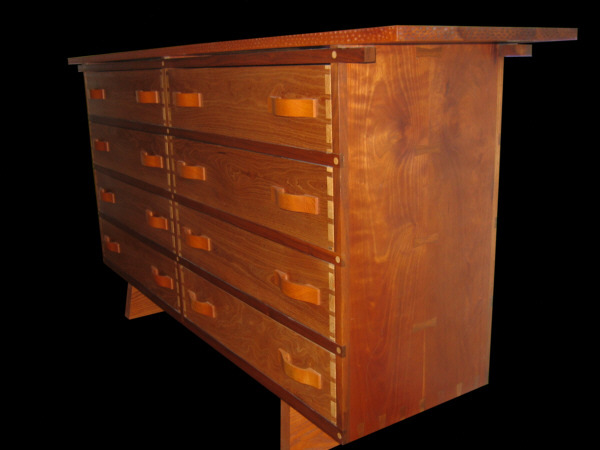 Copyright ©2006 - 2013 Stan Pike Furniture Maker.